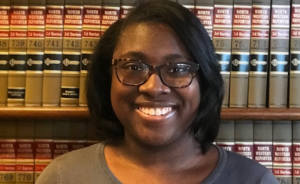 Drake student Shameka Brown has been selected as a national Newman Civic Fellow for 2019–2020. She joins 262 students from across the U.S. for this year’s cohort. Brown is a junior at Drake University, studying sociology and African American/African diaspora studies. For the last few years, she has worked in the community and with nonprofit organizations to advocate and increase the efforts of educational opportunities for high school and college students. She is currently working with the Iowa Department of Human Rights and local community members to help provide educational resources and opportunities to help students of color succeed academically. Through the fellowship, Campus Compact provides a variety of learning and networking opportunities emphasizing personal, professional, and civic growth. The fellowship also provides pathways to apply for scholarships and post-graduate opportunities. Read Brown’s full personal statement here.